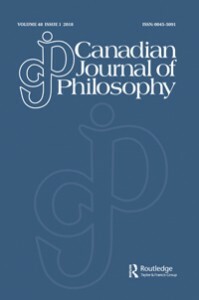 My article, “Freedom and the Value of Games,” is now out in the Canadian Journal of Philosophy. A post-print is also available on my website. which games are valuable or worthwhile to play. The difficulty view of games holds that the goodness of games lies in their difficulty: by making activities more complex or making them require greater effort, they structure easier activities into more difficult, therefore more worthwhile, activities. I argue that a further source of the value of games is that they provide players with an experience of freedom, which they provide both as paradigmatically unnecessary activities and by offering opportunities for relatively unconstrained choice inside the ‘lusory’ world that players inhabit. This entry was posted in Publications by Jonathan Gingerich. Bookmark the permalink.